In April, the number of cases in the bailiff stage increased by 7.79% (+429) compared to the previous month. 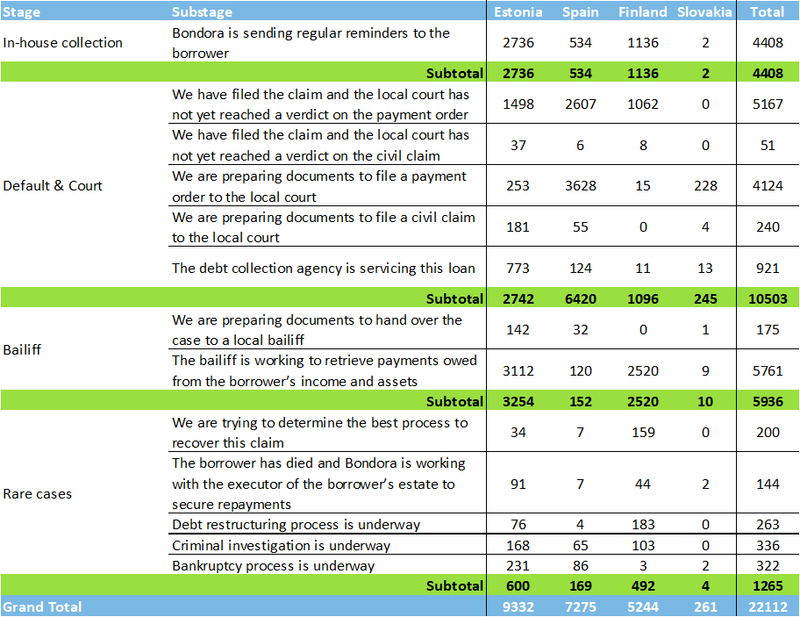 Out of the 5,936 cases, 5,761 of them were in the ‘The bailiff is working to retrieve payments owed from the borrower’s income and assets’. In other words, the majority of the cases in this stage are now in a position to start generating a cash flow back to investors. The most notable change in this stage by country was in Estonia, where the figures increased by nearly 9%. Check in again next month to see how the figures from May weigh up.